Iran Reports Outbreaks Of Contagious Bird Flu: Organization On Animal Healthreports 300,000 birds culled due to avian flu in Tehran. Russia reported two outbreaks of highly contagious bird flu virus among backyard birds in the southwestern part of the country, the World Organisation for Animal Health (OIE) said on Wednesday, citing a report from the Russian farm ministry. The H5 avian influenza virus was detected in domestic birds including geese, hens, guinea fowls in the Republic of Kalmykia, near the Caspian Sea, the ministry said in the report posted on the OIE website. However, it was still unclear whether it was the H5N8 virus which has hit wild birds and farms in several countries in Europe and the Middle East since last month. H5N8 was confirmed in a wild bird in the Skane region of southern Sweden and further tests are being carried out on poultry from a farm near Helsingborg which have already been shown to have the H5 strain of the influenza virus, the Board of Agriculture said in a statement. Bird flu has been found in a number of countries across Europe in recent weeks, including Sweden's Nordic neighbor Denmark. The Danish Veterinary and Food Administration (DVFA) announced on Monday that the first case of bird flu in a poultry farm had been found after the disease was first detected among wild birds no more than two weeks ago. The DVFA said a duck herd of approximately 30 in northern Zealand of Denmark had been hit by the avian influenza H5N8, with a third of the herd already dead. The tests showed that the ducks were infected with the same type of bird flu found in wild birds in several places in the country, according to the DVFA. 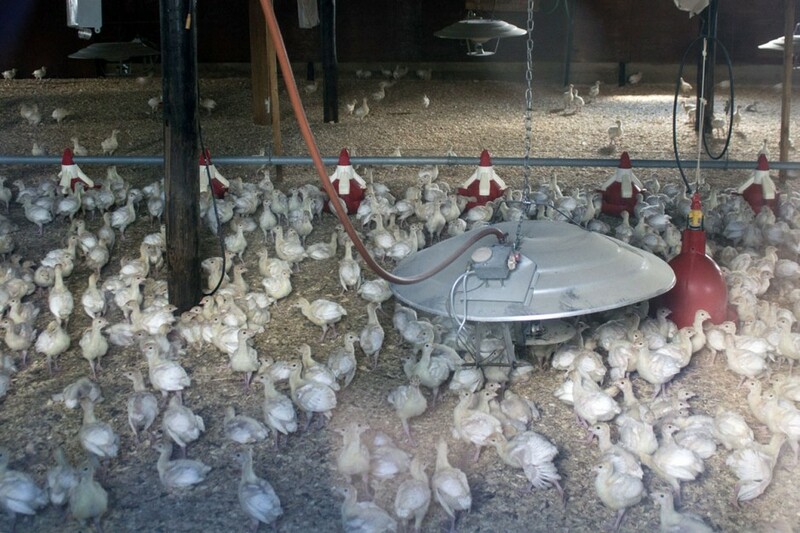 All birds in the farm including chickens, turkeys and geese have since be destroyed. Cases of human infection from the H5N6 virus have previously been reported in places including China and Hong Kong, with the virus killing six people in China. The animal husbandry department in Ballari on Saturday culled 500 poultry birds and 193 other birds to prevent bird flu in the Indian villiage of Itagi Hosapete taluk. This follows a directive from the Union agriculture ministry. Though the World Health Organization (WHO) warned that Avian Influenza virus H5N8, also known as bird flu, is considered less of a risk of being transmitted to humans, people panicked about it. Yesterday and today more countries across Europe reported H5N8, a highly pathogenic avian influenza that experts predicted would be spreading southward and westward after the H5 clade was found in migratory birds in Russia. The strain targets wild birds, waterfowl, and poultry, and will likely circulate through next spring. The confirmation of H5N8, contagious and lethal to birds, came as no surprise. On Wednesday already the Ministry of Economic Affairs decided that all commercial poultry farms should keep their birds, intended for the production of meat, eggs or other products and for restocking wild, inside on one place. The measure was taken as a precaution after H5N8 bird infections were already detected in Germany, Austria, Hungary, Poland and Switzerland. The Friedrich Loeffler Institute ( FLI ) confirmed the infection of wild birds with highly pathogenic avian influenza subtype H5N8 in Plon, Schleswig-Holstein. Further suspected cases from Schleswig-Holstein and Baden-Wuerttemberg (Bodensee) are currently under investigation. Bird flu has been found in the carcasses of wild ducks near Austria's border with Germany and Switzerland, Austrian authorities said on Tuesday, adding there was no evidence the virus could be transmitted to humans.